Freelancers have many tax deductions to enjoy. We are small business owners, solopreneurs, entrepreneurs, and in these roles we are (usually) our own bookkeeper, office supply administrator, decorator, and more. When it comes to writing-off your advertising expenses, home office deductions, and writing conference fees, you may want to check out my post 5 Year-End Tax Deductions for Freelance Writers. Those just skim the surface. I spent this past weekend on the Outer Banks of North Carolina in Rodanthe. It was strange to have a weekend away from home that did not involve attending a conference or arranging a writing workshop. I didn’t have to pocket all my receipts for filing later on. I did not have to get anywhere early to find good parking. We actually had a weekend vacation. Dog-free. Agenda-free. Almost work-free. Almost. I did work for a few hours one day, but it was imperative end-of-month invoicing that could not be postponed! Flying a kite with friends during a non-working weekend in Rodanthe, NC. Magazine and journal subscriptions. Planning to pitch new markets in the New Year? You need to be familiar with their content! Trying to get a short story published in a literary journal? Subscribe to find out if your material is a good fit. Contest fees. As you continue to grow your platform and gain exposure for your work, contests will likely cross your radar. Whether these are poetry, fiction, first chapter, or first book contests, keep track of how much you spend. Electronics. About time for a new computer? Need a new camera for professional-grade photo submissions to magazines? Publishing e-Books and need to test them out on a Nook or Kindle? These devices are used as part of your business. A tax professional can advise the best methods for deducting these items as some taxpayers elect to take the full deduction once or a depreciation value deduction annually for several years. Note: I am NOT an accountant or a tax attorney or a financial expert. None of the above is intended to be advice, but merely considerations for you to discuss with your own tax professional. Not every writer may be eligible for business deductions. There are many variables. A few to consider: How you treat your writing (Separate bank accounts for writing and personal expenses? 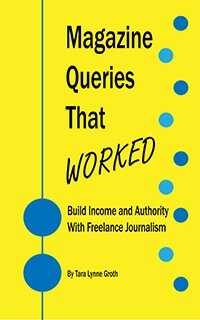 ), how long you’ve been claiming your writing activities as a business, and whether or not you are earning profit from your writing.